Glad that you found it! 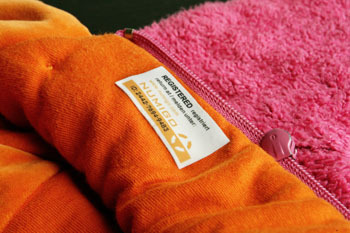 Protect your and your family\'s favourite clothes with Numigo Textile Labels. Don\'t worry anymore about losing your favourite sweater or jacket! Their size is about 23x46mm, they are attached by a hot iron, washable until 60°C (140°F) and suitable for textiles with smooth surfaces, for sportswear, jackets, childrens\' clothing etc. Protect 10 essential items with our pack of 10 Numigo labels! More..